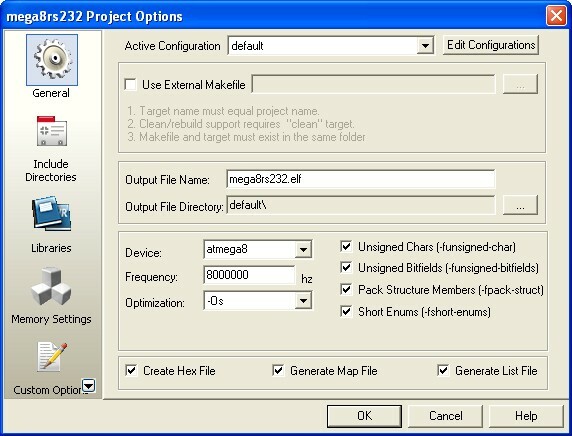 December 15, 2008 by rwb, under Microcontroller. Back in the old days the COM port or known as RS-232 (EIA-232 standard) is one of the essential communications protocol and hardware use in many computer system installation start from small UNIX machine to the mainframe. 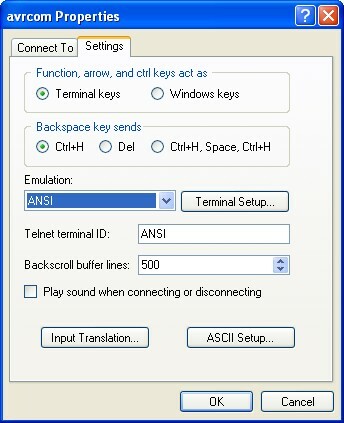 The RS-232 protocol is used by terminal such as wyse60 or DEC vt100 which connected through direct cable or modem to the UNIX host or legacy system. Actually you could still tracked this history in the /etc/termcap file on many modern Linux distribution; later on I will use this table in our project for some terminal command’s information. Today the used of this port is being replaced by the Ethernet protocol and hardware for connecting to the legacy system; most PC’s and notebooks nowadays has replaced this port with the USB (Universal Serial Bus). But in the embedded world the RS-232 communication protocol is still being used because of the reliability and simplicity. 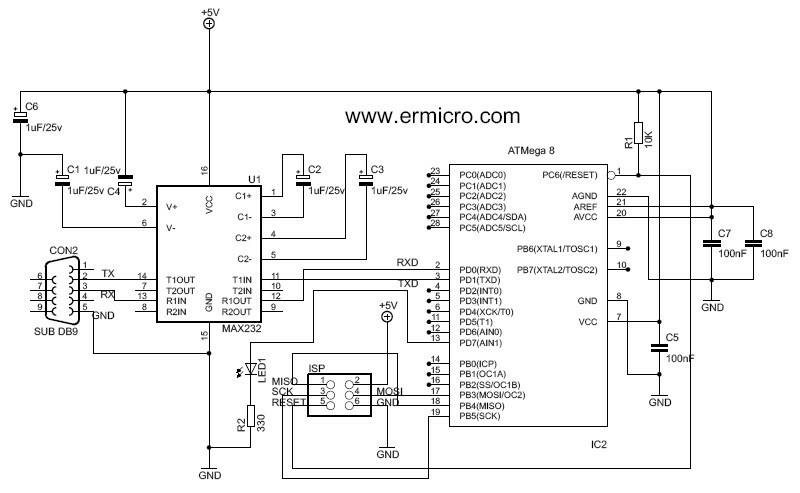 In the microcontroller’s world, we usually process just a small amount of data, therefore the RS-232 protocol is more than adequate to handle it. The voltage level between -3 Volt to +3 Volt relative to the ground is considered undetermined condition. 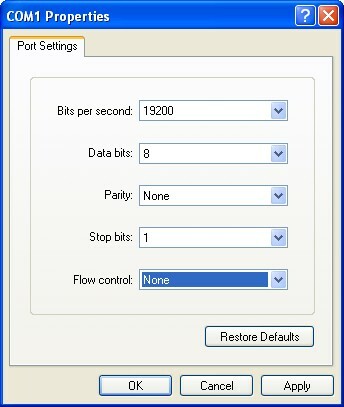 Every data transmitted or received has the format form of start bit, data bit, parity bit and stop bit; the mostly used configuration with the microcontroller is 1 start bit, 8 data bit with no parity bit and 1 stop bit. The transmission speed is measured in BAUD RATE; which equal to the number of bit per second for the RS-232 device to transmit and receive the data. For example the speed of 19000 baud means 19000 bits can be transmitted and received for every second. The UBRR is the content of both UBRRH and UBRRL registers and must be integer from 0 to 4095. In order to get the high order bits from the formula result, we have to shift 8 times to the right before assign the value to UBRRH register, while for the low order bits; it will automatically cast or trimmed to the 8 bit in UBRRL register (see the datasheet on page 158). But using the first statements to assign the UBRR value to both UBRRH and UBRRL registers will be more practical because it will work in any frequency oscillator and baud rate we choose. Because we are not using the UART interrupt for both receive and transmit we just clear (assigned to logical 0) the RXC1E, TXC1E and UDRIE bits. The RXB8 and TXB8 is use for 9 bit data length so we also clear these two bits. Sending a data is simply putting the data into the USR register, but before assigning data to this register, we have to examine the UART data register empty (UDRE) flag status in the UCSRA register. This can be accomplished by using while statement to continuing loop as long as the UDRE bit status is “0“; and when the UART is ready for transmitting the UDRE bit will be set to “1” and the while loop statement will terminated. The first two statements inside this function is used to automatically append a line feed ASCII code (10) when we send the carriage return character (ASCII code 13). 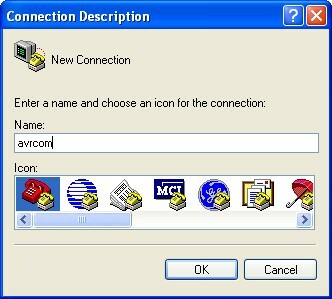 You could close and save the setting for this HyperTerminal profile (avrcom) for later use. As I mention before; in the old days this kind of terminal is called a dumb terminal because it’s main function is just for inputting and displaying the data from and to the host computer (in this project the AVR ATmega8 microcontroller is act as the host computer); and since this is the most used method for communicating with the host computer at that time, many companies build their own brand an type of dumb terminals such as DEC vt100, vt220, vt320, WYSE 60, WYSE 50, etc; and to make it worse; every brand and type come with their own protocol or command for displaying character on screen such as clear the screen, moving the cursor, set the color attribute, the keyboard function key, etc. 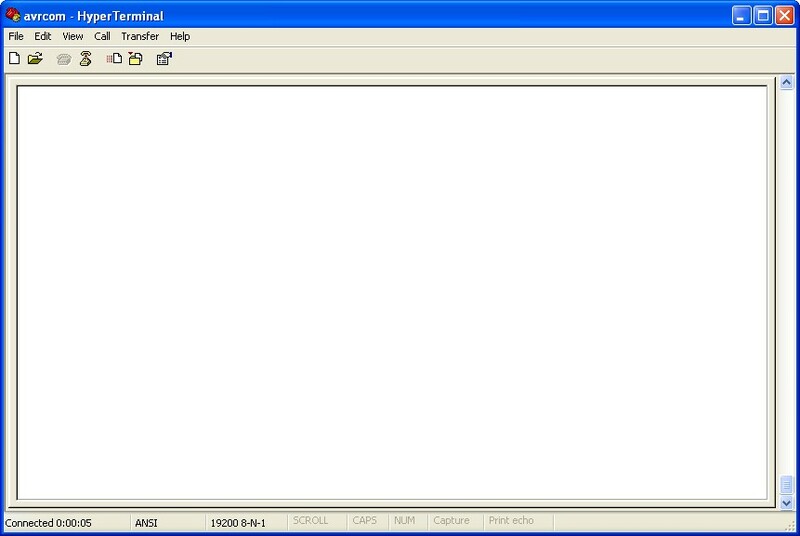 Therefore in order for the host computer to communicate with wide varieties of terminal brand and type, the operating system have to keep all the terminal information in the table called /etc/termcap file in most UNIX like operating system and also could be found in the modern Linux distribution. The \E it’s the ESC character or ASCII code 27. The last is the TIMER0 implementation for the program’s life beacon. 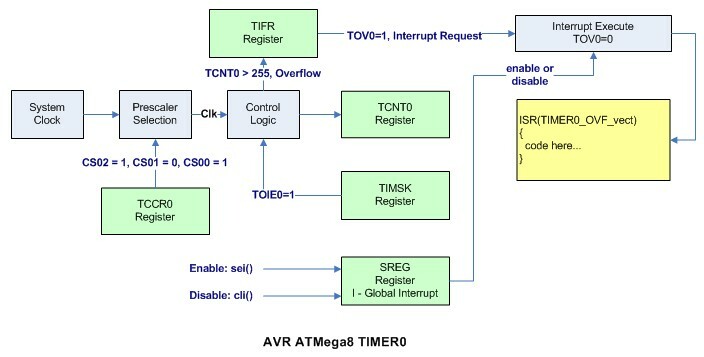 I am using the AVR ATmega8 interrupt service here to give an illusion of multi task program executing at the same time; this mean while your are playing with the microcontroller the LED connected to the PORTD-PD7 is also blinking. When the microcontroller get the interrupt it will save the address of the next execute command to the stack (which is the SRAM) and start execute at the TIMER0 overflow interrupt address represented by ISR(TIMER0_OVF_vect) function in AVR C programming. Before you build the program, you have to examine the AVR ATmega8 fuse bit, because we use the internal clock source, make sure you select the 8 Mhz internal RC oscillator. 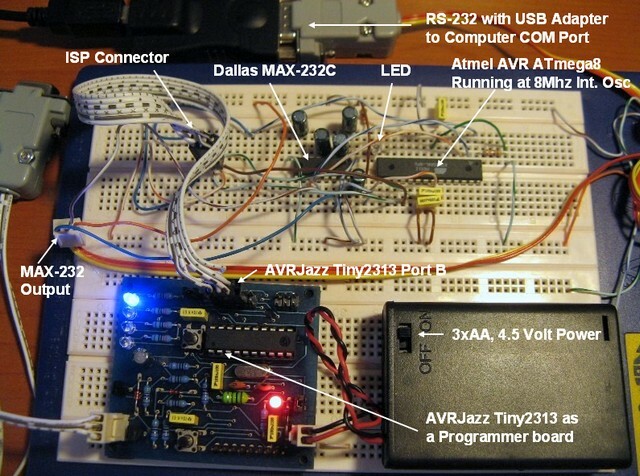 Connect the AVRJazz Tiny2313 board ISP programmer to the AVRMega8 ISP connector and start the AvrOspII programmer; change to the Fuse Bit tab and make sure you check the Int. RC Osc. 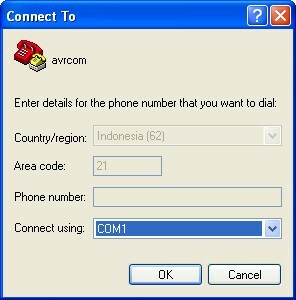 8 Mhz; Start-up time: 6 CK + 64 ms; [CKSEL=0100 SUT=10] option and leave the other setting to it’s default. Press Program button and press Read button to verify it. 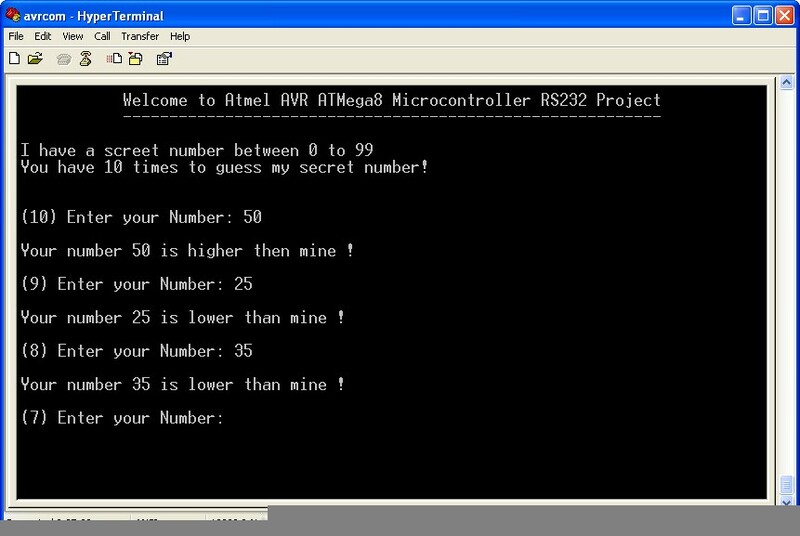 Press the Auto button program to down load the code into the AVR ATmega8 microcontroller.